With Charles Gamble, Jonathan Harrell, Bernadette Peña, Nicole Phelps, Oscar Rodriguez, and Esme Vaandrager. Limited Space - Reserve Today! 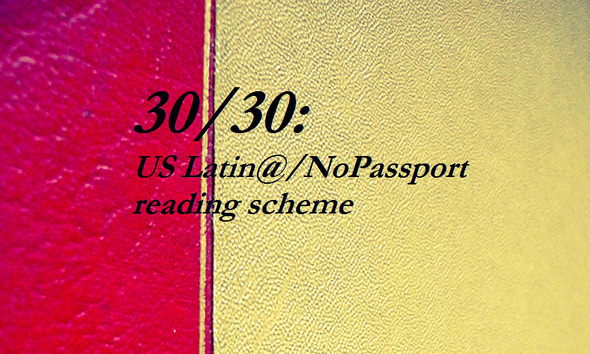 This reading is part of No Passport's 30/30-a US Latin@/NoPassport reading schemethat is presenting 30 Latina/o plays in 30 days across the US. Please feel free to tweet your impressions of the play to hashtag #3030NP. 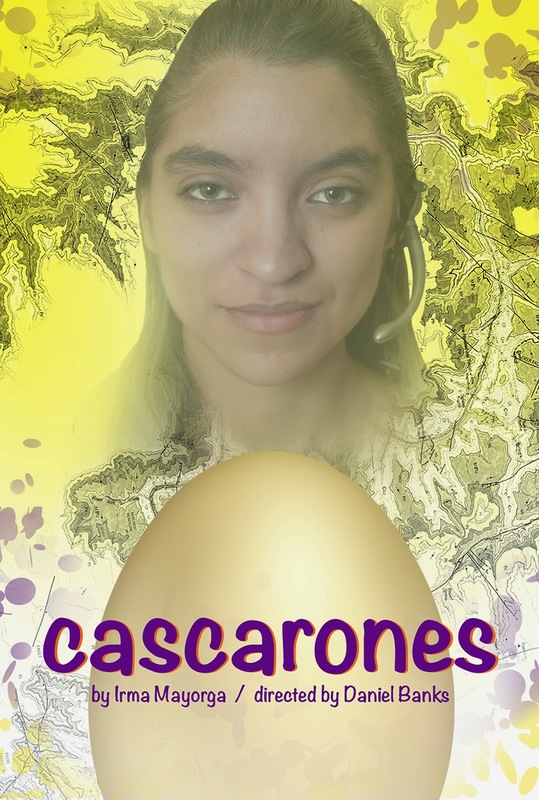 Winner of the National Latino Playwriting Award for La Bella Familia, recent productions include Unmerciful Good Fortune and Trafficking in Broken Hearts, both in Los Angeles as well as the world premiere of the romantic comedy I'll Take Romance at the Evolution Theatre in Ohio. Other productions include: Diosa, produced by Hartford Stage after a successful workshop by New York Stage and Film, Trafficking in Broken Hearts at the Bank Street Theater in New York, Unmerciful Good Fortune at the Intar Theater in New York, for which he received the Princess Grace Playwriting Award in 1994, and Barefoot Boy with Shoes On at Primary Stages in New York. This play was selected by the Eugene O’Neill Playwrights Conference to represent the National Playwrights Conference at the Schelykovo Playwrights Seminar in Russia; Icarus produced by Fourth Unity, Actors Theater of Louisville as part of their Humana Festival, San Jose Rep and regionally throughout the U.S.; and Trafficking in Broken Hearts, Atlantic Theater in New York, and productions in Brazil and Switzerland. He was also among the playwrights involved with Brave New World, an organization commemorating the events surrounding September 11th. www.edwinsanchez-writer.com. Edwin is on the playwriting faculty at Primary Stages in New York City. Sunday, March 23 @ 2:00 p.m.
Tickets: $5 K-12 students, $10 Artist/Fixed Income, $20 General Admission. For tickets, click Tickets Santa Fe, visit the Lensic Box Office, or call (505) 988-1234. HaMapah/The Map weaves contemporary dance with archival material, personal interviews, Yiddish and American songs, and video set to traditional, contemporary, and classical music. In HaMapah /The Map McKinney explores issues of identity, heritage, and ancestry. As part of the program, immediately following the performance, DNAWORKS Co-Directors McKinney and Banks lead a community dialogue about the audience's relationship to the core ideas of the piece. Click here for a video excerpt fromHaMapah / The Map. "I enjoyed the performance: exquisite dancing, thought-provoking and seamless integration of movement, text/song, image--so much to admire!" "It was a really beautiful piece last night! The dance and multi-media were just superb!" "I was so moved by the performance and the follow up last night...this was so amazingly beautiful, creative, executed and magnificent that I am lost for words." "I think that your work is about looking within, and connecting with our body-houses, so that we can appreciate our ancestry. You are creating a pathway for people to understand how to reconnect with themselves...you provide possibility to a richer experience of one's own life...Societies can be changed this way for the better." Click here for other DNAWORKS programs, including film and dialogue workshops, Hip Hop Theatre, trainings and more! Come Enjoy Winter Dances 2014! Winter Dances 2014 is a thrilling evening of mixed dance repertoire. • Rite of Way, a staged version of the Department’s engaging site-specific work, presented in collaboration with NMSA Visual Arts Department at The Santa Fe Railyard in October 2013. Click here for the event's Facebook page! DNAWORKS will be in residence at the Kennedy Center American College Theatre Festival conference (Region 7) in Boise, Idaho, February 16-21. Monday 10:30 a.m. – 12:00 p.m.
An introductory workshop with DNAWORKS co-directors Adam McKinney and Daniel Banks in the performance and community building techniques they used to create HaMapah/The Map (Sunday night opening performance). A multi-media, interactive introduction to Hip Hop Theatre with Daniel Banks, editor of Say Word! Voices from Hip Hop Theater and director of the Hip Hop Theatre Initiative. Open to all who want to learn about the form or share their knowledge. An in-depth workshop with Daniel Banks on Hip Hop Theatre Initiative’s work creating devised, socially and politically relevant Hip Hop Theatre. Come prepared to move. 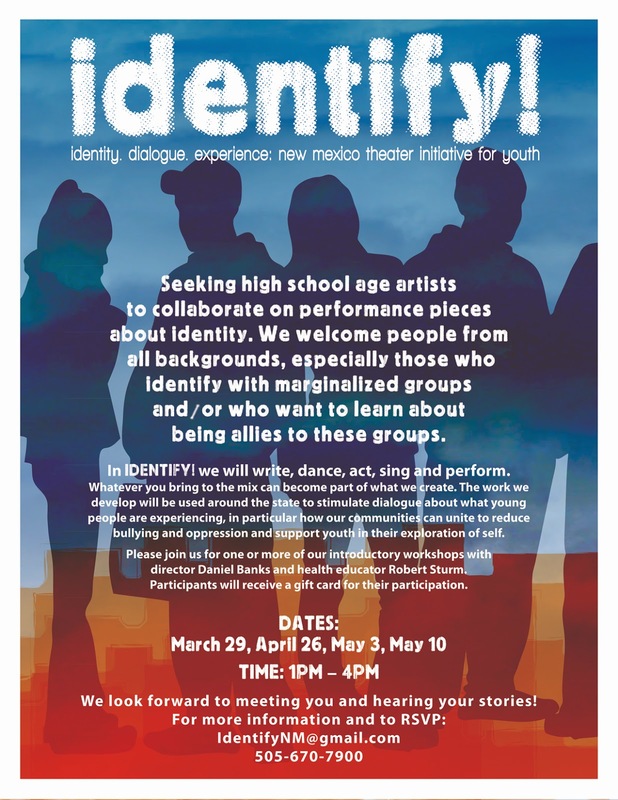 Open to students, teachers, administrators, Hip Hop heads, and curious allies! Daniel will be in conversation with Hip Hop Theatre performer and playwright Idris Cooper.